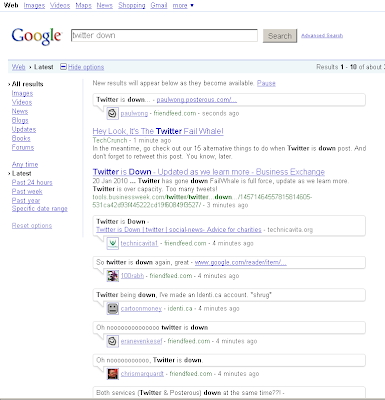 Yes, Twitter is down... Again. 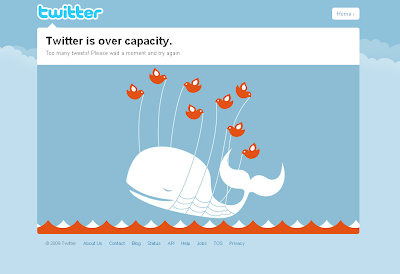 Maybe the title should have been "The fail whale strikes again". The reliance many sites have placed on the twitter API and its growth in popularity, sure has highlighted the issues it has with reliability. Maybe time for a rethink.